Six million views on YouTube? All those teen singers better watch their backs! Rebecca Black is storming through. Yes, I'm talking to you Miley, Selena, Miranda and Demi! In all seriousness though, bless her heart for trying. LOL! - Yes, that means I was joking with my comment above. Come on. Who would compliment that? Hahaha! The way she says Friiiday is so annoying. I wonder where she is? Hiding under a rock? Aww. Ties with Kim Kardashian's song Jam as the WORST, MOST ANNOYING song ever! Looks like she shot the video herself. Everyone laughs now but Rebecca Black is the new Princess of Pop. I can't believe a record label would let a 13 year old humiliate herself so badly. Has she made any responses? Did she not know how awful this was? Now the whole world is making fun of her. The difference between Rebecca Black and other teen stars is their songwriters. Miley Cyrus, Demi Lovato, and Selena Gomez have decent lyrics; however, this song is garbage. And I agree with the comment about how annoying it is when she says friiday. The purpose of The Best Damn Blog is to provide visitors from all over the world with the best updates in Music, Movies, Television, Celebrities, Magazines and more. We truly appreciate your visits and hope you have a great time here. Please, don't forget to come back again! Thanks! Please visit click here to get involved and help stop animal cruelty today. The Canadian seal hunt is the largest slaughter of marine mammals on Earth. More than one million baby seals have been brutually beaten to death for their fur during the past four years. You can help stop this atrocity. Click here to find out how! Global warming isn’t opinion. It’s a scientific reality. And the science tells us that human activity has made enormous impacts to our planet that affect our well-being and even our survival as a species. 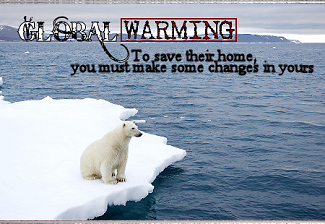 You can help stop global warming! Click here to find out how. The Best Damn Blog (Gabe). Powered by Blogger.